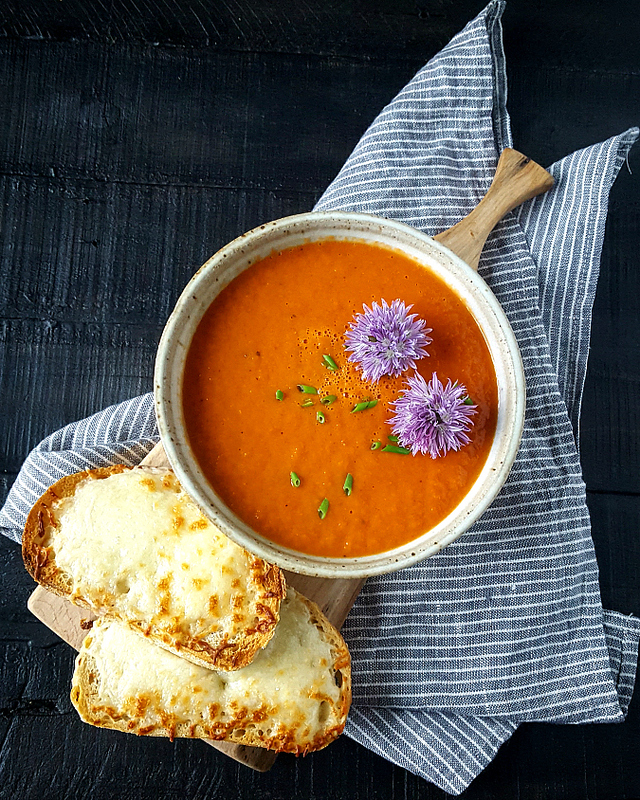 If your air conditioning is working, or if it's not too hot where you live, my Creamy Tomato & Fennel Soup With Cheesy Toasts would be perfect for a Meatless Monday dinner tonight. 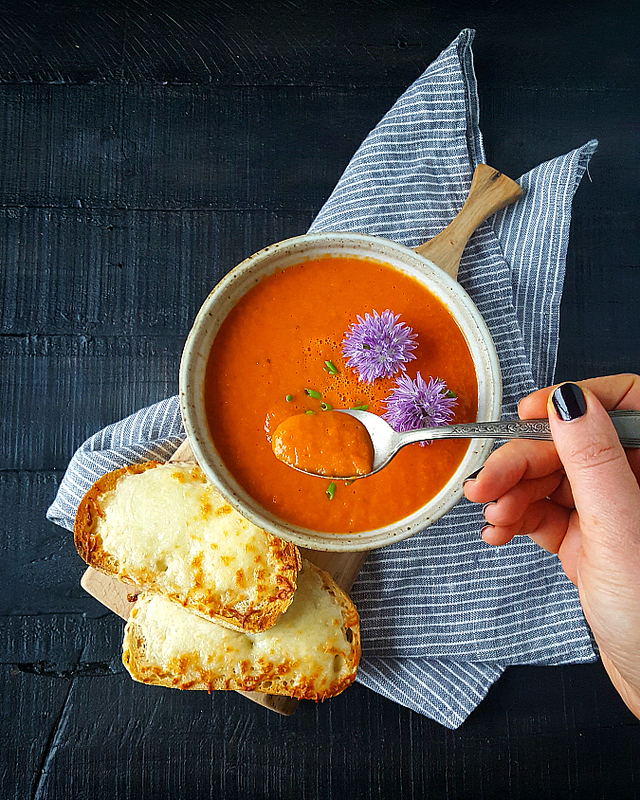 I love a creamy tomato soup with grilled cheese, but this time decided to switch things up a bit and add a few ingredients to the soup to elevate the flavors. I think you'll really like it. 1. Heat a soup pot and add olive oil. Saute fennel and onion for about 10 minutes. 2. Add tomatoes, water, chile sauce, salt & pepper, and bring to a boil, lower the heat and simmer covered for 10 minutes. 3. Puree the soup using an immersion blender or a food processor carefully because it will be really hot. Add half & half and adjust the seasonings. Top with blooming chives. 4. Meanwhile, top toasted slices of bread with shredded cheese and melt the cheese under the broiler making sure not to burn it. Isn't the color stunning? I ate most of the soup in one sitting and used leftovers the next day for breakfast in a shakshuka.